If you are curious about how to add a song to a playlist on your iPad, you've come to the right place. Read this post to get the answer. Take a tour with this all-in-one iPhone iPad data transfer by downloading & installing it on computer. 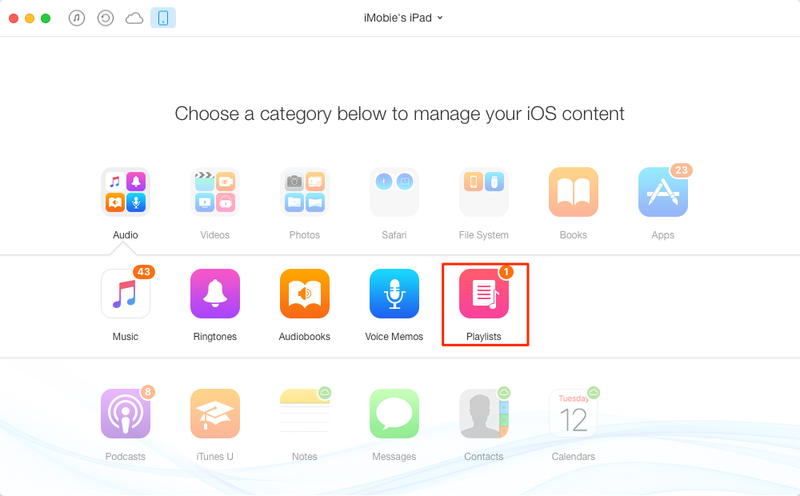 Now read this guide on how to add songs to Playlist on iPad. The iPad Playlists allows you to organize songs in a particular theme or type: pop songs, operatic arias, romantic ballads, etc. If you are not sure about how to add songs to your newly created playlists, you have come to the right place. 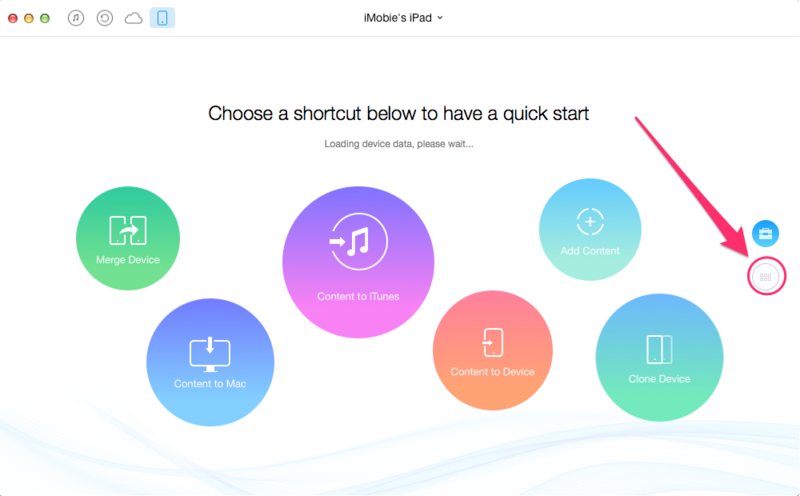 Follow the rest part to get two ways to add songs to your iPad playlist. Step 1. Open the Music app from the iPad Home screen and then touch "Playlist" on the bottom. Step 2. Choose the playlist you want to add songs to, and then choose "Edit" from the options. Step 3. Press the "+" button in the top right and then choose the song you want to add. Step 4. Touch "Done" to apply your changes to your selected playlist. If you want to transfer your favorite songs from home computer to your iPad Playlist, the above method is powerless. We have previously introduced you how to sync Playlist from iTunes to iPhone, here we will show you how to directly add songs to a playlist on your iPad. All you need is an all-around iTunes alternative, which allows you to add songs to iPad playlist from computer without limits – with iMobie AnyTrans. 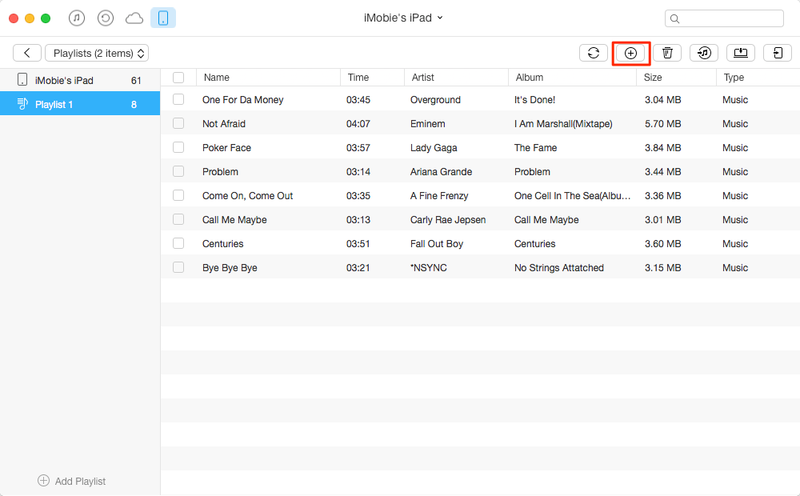 Follow the steps below to get add songs to iPad playlist with AnyTrans. Step 1. Download and get AnyTrans installed on your computer. Open AnyTrans, and plug in your iPad. Click . Step 2. Click Audio, and choose Playlist. Step 3. Click the "+" button on the top right of this window, and choose the songs from your computer, then click Open to add songs to your iPad playlist. AnyTrans is also capable of transferring & managing other types of iOS data like photos, videos, ringtones, voice memos, voice mails, contacts, messages, etc. Start Take a Tour with AnyTrans. If you have any questions on this guide or AnyTrans, you can leave a comment or send us emails.